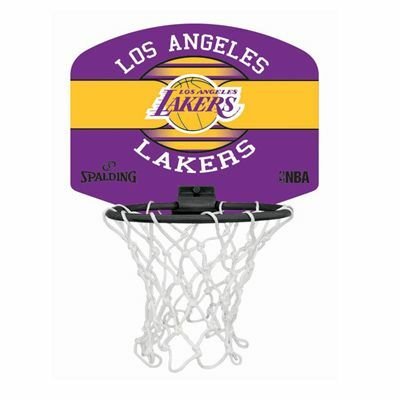 Have fun and cheer for the Los Angeles Lakers in the comfort of your home with the Spalding LA Lakers NBA miniboard. 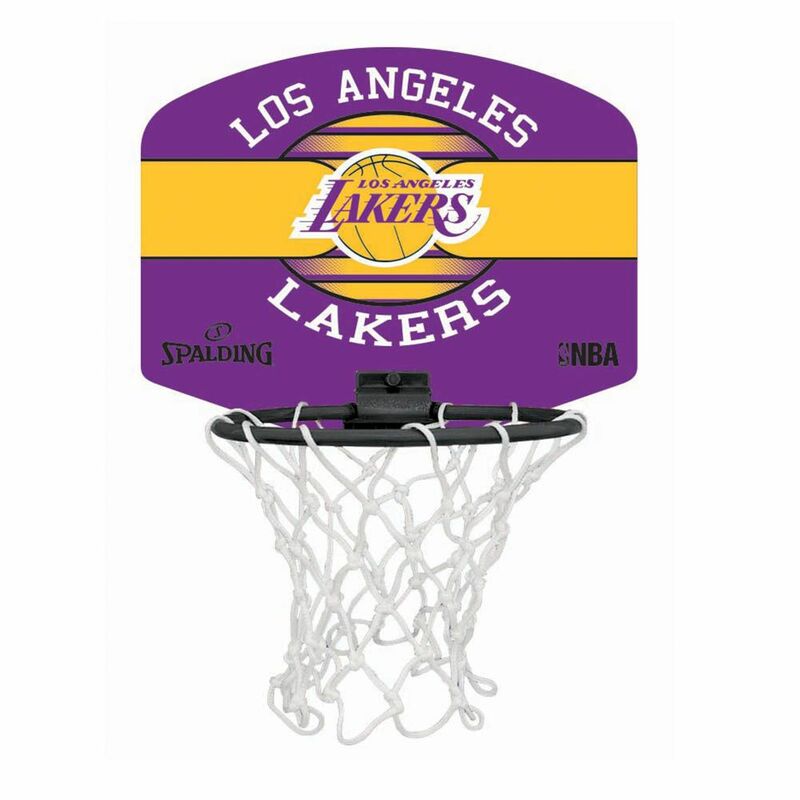 Featuring LA Lakers, NBA and Spalding logos, the miniboard is a perfect addition to your office or kids’ bedroom and can be great as a gift for a true basketball lover. It comes complete with a mini Spalding basketball (size 1) and ensures easy mounting thanks to adhesive pads at the back. for submitting product information about Spalding LA Lakers NBA Miniboard We aim to answer all questions within 2-3 days. for submitting product information about Spalding LA Lakers NBA Miniboard. We aim to answer all questions within 2-3 days. If you provided your name and email address, we will email you as soon as the answer is published. for submitting product review about Spalding LA Lakers NBA Miniboard.